NIGERIA: THE DESPERATE NEED FOR SYMBOLIC AND STRATEGIC LEADERSHIP – Part 1 | Thoughts of a Calabarboy. 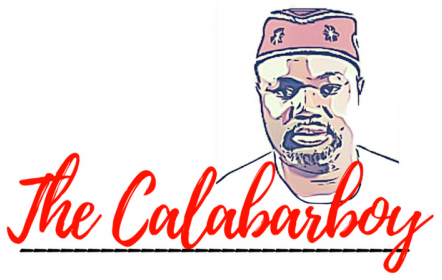 NIGERIA: THE DESPERATE NEED FOR SYMBOLIC AND STRATEGIC LEADERSHIP – Part 1 – Thoughts of a Calabarboy. The fundamental challenge for leadership in any country with a disparate collection of nationalities is how to articulate the desires and aspirations of such Peoples and design a grand concept which satisfactorily meets the expectations of everyone. It is even more complex when one cannot trace a central ideology within each of such heterogeneous groups. How then does the leadership begin to conceive of and to interpret what each group wants, and how does each need become the balancing ingredient to concoct a national broth? This is probably one of the great challenges of the Nigerian state since it began striding the paths of nationhood. The country is beleaguered by several issues top of which is corruption. However, it is the inability of the country, through its leadership to draft a common cause, and to imprint or implant that into the minds of every citizen that has cost us much more than the price of corruption and bad leadership. When there is no defined vision within a specific group, it is a truism that people will craft what is acceptable to them and pursue that without regard to its encroaching effect on others without. What also is a given is that people perish without vision. They may not perish as in men falling on the streets and dying of asphyxiation, like a scene from an apocalyptic movie. But if we carefully prognosticate on the likely trajectory of a vision-less people, the eventual picture would not be far from one similar to the outcome of the Mayan civilization. Or perhaps it could be safer to say that what may result could likely be the brutish society for which a social contract was needful to escape. While my analogies may be quixotic, it still borders on sensible possibilities given the history of human extremities. I keep thinking to myself what will become of the country Nigeria in the next thousand years. Those who are students of history would probably be able to play with such thoughts as human activity overtime has provided a laboratory through which they can test existential issues against past realities. Will Nigeria stand as a strong, prosperous and flourishing country in ages to come or will it become the playground of archaeologists longing to weave theories of why societies fail? Since none of us will be around then to see what becomes of this country, how fortunate that we are all present this day and are witnesses to our current troubles. This makes us privileged custodians of the country’s destiny. So it behoves us to ask pertinent questions about what it will take to get us to a point of a common sight, even though it may be impractical to wish a single voice for all. If we can’t see the same destination, how do we travel on the same road? Again many will argue that more than one road lead to the same destination, but they would be disingenuous in hiding the fact that the different roads do not all measure the same, neither are the hazards therein similar. You can easily perceive the dearth of symbolic and strategic leadership in modern Africa by merely following after the events that have marked a half century of forced births and stunted growths. The political, economic and geographic landscape attests to the fact that the blind surely do lead the blind, and the deaf surely do speak for the dumb. Even though we have somehow managed to celebrate some level of sapience in our species of the Homo genus, it is often a case of the one-eyed man being king in the land of the blind. Even when a bright star arises to lighten the dark alleys of our muzzled choices, they have often been shot down by foreign marauders brandishing their egos through strange political concepts enforced by proxy wars. It is really troubling to see that even our literatures are full of odes to incompetence as poetic tapestry is woven from social putrefaction, and our children study this with little understanding of its strangling effects on the imaginariums for future leaders. In the meantime, our dailies churn out nothing short of aspersions and ranting invectives on government, of course justified by excessive display of policy failures. On the other hand, our soft-sells celebrate in glossy pages the public show of debauchery through dishonest gain, and these serve our weekend escape from the hard realities of existing in our society. That we lack leadership is not in question. What should be a topical discourse is the type of leadership we need if our country is to move in a different and positive direction. So beyond the ability to lead a people is what informs the context of such a people. As I had earlier established, you need more than politicians to lead a divided people. Politicians or representatives are interest driven and will sacrifice only where it meets the implicit demands of their constituents. And in a situation where our politics still seeks to transit from the ancient to modern, we are yet infested by men with little or no knowledge in the art of leadership. What we have in abundance are tricksters who still see the country as a kingdom to be conquered and plundered, while the spoils are sorted and allotted to allies and “bootlickers”. You can find them easily. When they come to power, they are first concerned with resolving their emoluments and defining the privileges that attach to such offices. Little wonder some spent a whole season discussing housing, furniture, and entertainment allowances instead of attending to weightier matters as demanded by the assignment at hand. These men are only precursors of hopelessness and serve nothing but the cause of an eventual systemic collapse. ← CAVEAT!!! FOR BROTHERS ONLY: TOP 14 BIBLICAL WAYS TO GET A WIFE. 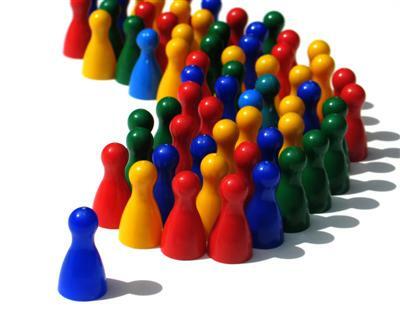 Effective leadership is leadership focused on the people rather than on mundane things. and true nationalistic mind set. with the operating patterns of the kingdom. A leadership that will add value to human lives. This we believe is possible and attainable. This we believe is possible and tenable.